Checking your router and noting the IP address of the Raspbmc Raspberry Pi. By default, Raspbmc host name is “raspbmc”. Note the IP address your router has given to this host name. While in Raspbmc, navigate to System -> System Info. Here you can find the IP address of your Raspbmc Raspberry Pi. 3. Now you need to enter the IP address of your Raspbmc Raspberry Pi. Make sure that you have selected “SSH” under “Connection Type”. If you wish, you can save these settings for future use. 4. Double check everything and click “Open”. This will launch a terminal window and Putty will connect to your Raspbmc Raspberry Pi. 5. Here you need to enter the login information for the Raspbmc Raspberry Pi. 7. You can select your languages if needed. Up and down will move you through the options and using “Space” will allow you to select or deselect packages. Left and right let you switch between “OK” and “Cancel” and using “Shift+Enter”, will allow you to select “OK” or “Cancel”. If you wish to skip this step, hit “Ctrl+C” to break out of the Package Configuration menu. 8. In this guide I will break out of the Package Configuration menu. Now you should have access to the terminal prompt. Congrats! 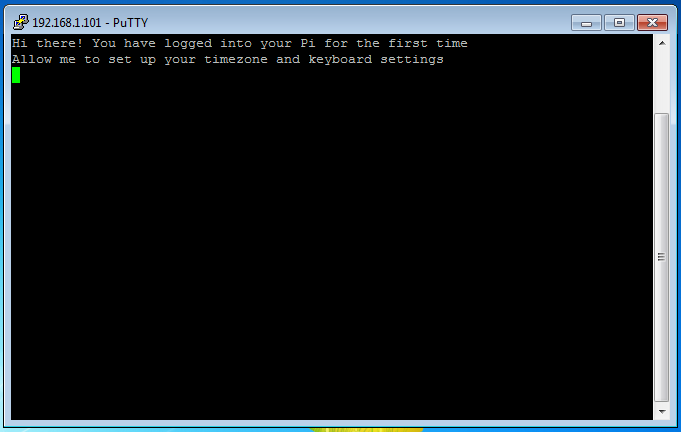 You’ve connecting to your Raspbmc Raspberry Pi via Putty SSH. By using Raspbmc SSH you can modify files on your Raspbmc Raspberry Pi from a remote computer. 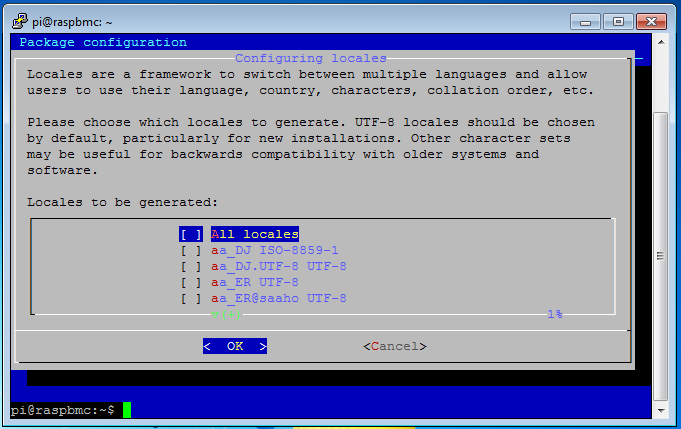 One such bonus is changing the “config.txt” to enable certain parameters or to even overclock your Raspbmc Raspberry Pi! To learn how to access the “config.txt” on your Raspbmc Raspberry Pi please check out HTPCBuild.com Raspbmc Overclocking Guide.